The common otter was first seen in Anjar in 2007 feeding on fish, via a monitoring camera of a restaurant. This incidence led SPNL to investigate more about this species and initiate efforts to protect it. Distribution: occur in North Africa, East Mediterranean and North Arabia. 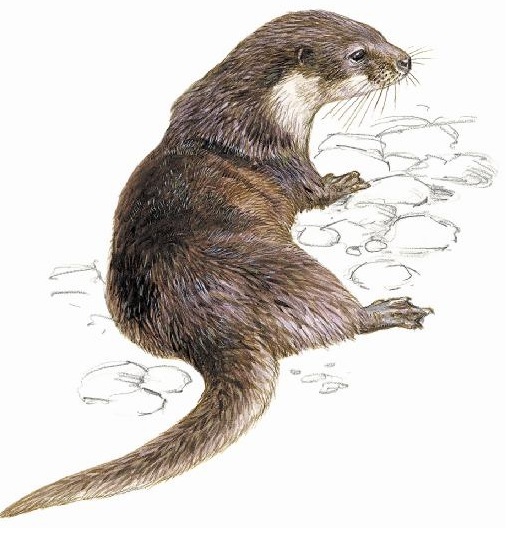 The Common Otter is an animal that inhabits both water and dry land, they can be seen moving around river banks or swimming in clean rivers or lakes. Description: body length 70 cm, tail 36 cm, weight around 10 kg. The slender body of the common otter is covered with thick and beautifully colored waterproof fur. This fur is yellowish permeated by a mixture of grey and brown strands on its back, and becomes whitish yellow on it’s under belly. The color of its rounded tail follows the same pattern. The Common Otter has a flattened skull, short nose and very short legs. It can close its nostrils and ears when diving in deep water and has webbed feet similar to those of ducks, the toes are joined by a thin layer of skin that helps it to swim. Behavior: A charming gentle animal the otter is known for its love of frolicking, sliding over the muddy banks of lakes and rivers, or gliding elegantly over snow and ice. Its numbers are rapidly decreasing world wide due to persecution and the destruction and pollution of its habitat. Breeding: During the mating season, the usually sociable and friendly male otter is ferociously aggressive towards any male that enters its territory, fighting fiercely to win the female. The male emits a whistling sound during the spring that can be heard from a long distance away. After a gestation period of two months the female gives birth to about five young which she suckles for four months. The family remains together for eight months. The life span of this otter is about 19 years. Diet: The common otter, alone or in family groups, leaves its den at night to hunt for food but sometimes it hunts during the day as well. It is an able swimmer and a dexterous diver reaching the bottom of lakes in search of food. It eats fish, frogs, turtles and other aquatic creatures. When hungry, otters can attack fish farms much to the annoyance of their proprietors. Predators: Common otters are preyed upon by the eagles, wolves and jackals. 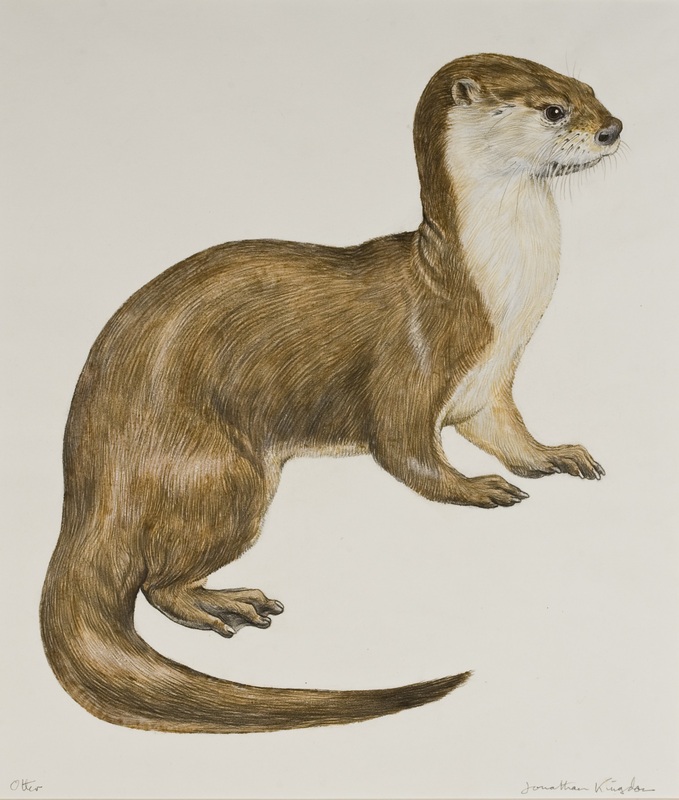 The common otter is listed as “Near Threatened” by the 2001 IUCN Red List.